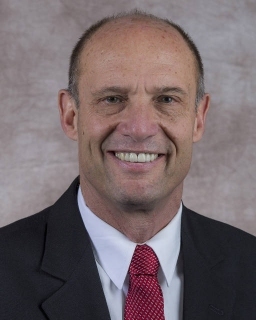 Pernell: How hot should Mike Riley’s seat be? 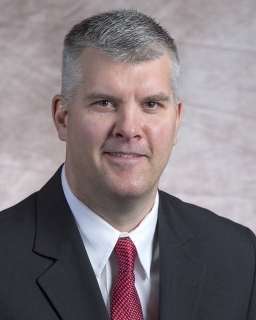 Nebraska essentially paid Northern Illinois $820k to put its head coach on the hot seat. Following an inexcusable 21-17 loss to the Huskies, Nebraska is now sitting at 1-2 – and could very easily be 0-3 – heading into conference play. Mike Riley is in year 3 and losing to MAC teams coming off a 5-7 season should not be happening. Northern Illinois came into this game having lost 11 of their last 17 games. They were also without their starting quarterback. Nobody expected Nebraska to be championship caliber already in year 3, but it’s uncalled for to lose to a team so dramatically less talented. How many guys on Northern Illinois’ entire roster would make the two-deep on either side of the ball at Nebraska? Generously, maybe five or six? The same goes for Arkansas State. At home, those games should have been 20-point cakewalks. Instead, the team is coming off the worst home loss in modern history. Riley and the Huskers are at a critical crossroads with this season, and potentially his job. Nebraska is now 3-6 in their last nine games dating back to last season. The situation is bad enough that Nebraska athletic director Shawn Eichorst showed up in the postgame media area to answer questions following last weekends loss. It was clearly a case of a guy trying to save his job. If things continue, it won’t work. This team needs to right the ship, now. The Huskers need to finish the year 6-3, minimum, if Riley expects to get a fourth year in Lincoln. If they limp through the next couple games, this thing has the potential to really get out of hand with a challenging second half schedule staring at them. The Huskers face Rutgers at home this weekend and follow that up with a trip to Champaign for a game against Illinois. The Scarlet Knights are 4-21 in the Big Ten and have lost 14 straight conference games. The Fighting Illini haven’t had a winning season since 2011 (7-6), which was four coaches ago. They also start seven true freshmen. If Nebraska can’t get right over the next two weeks, it’s probably only a matter of time before we start talking about candidates to be the next coach. If Riley can get to seven wins, I think he has a chance of keeping this recruiting class from falling apart. Obviously getting to eight wins is better, but I think seven is the bare minimum. How Nebraska looks in any more of their losses will also go a long way. They can’t afford to have any more blowouts where they look completely outclassed and outcoached. If they get six more wins and their three losses are competitive games against ranked opponents like Wisconsin, Ohio State and Penn State, I think that helps. Anything less than seven wins, and I think you will see an exodus that will cost Riley his job. The 2018 class currently sits at 10 commits, and ranks 37th nationally according to 247Sports and 51st according to Rivals. But the class is flush with talent, ranking 11th and 17th by the respective services according to individual player rating. Until the Northern Illinois debacle, most felt the class had the potential to be top 15-20 when the dust settled on signing day, despite being expected to sign just 18-20 kids. Nebraska was considered a finalist for five-star outside linebacker Micah Parsons and five-star wide receiver Jalen Hall. With uncertainty now swirling around the program, it remains to be seen if the Huskers can stay in the race for those two, as well as several other four-star prospects that have had Nebraska on their short lists. If the recruiting goes south and this class implodes, Riley has to go regardless. If the 2018 class erodes to the point where it looks like Riley will sign a class in the 30’s or worse, what is the point of keeping him? He would basically be a marked man on the recruiting trail. If the 2018 class essentially gives him a vote of no confidence, that would let you know exactly where he stands on the trail as he turned his attention towards the 2019 class. He would enter next season on the hot seat. Imagine how difficult it would be recruiting since he would be fighting for his job. 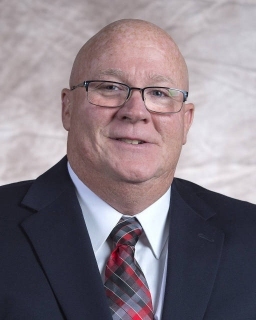 You would be banking on him winning at least nine with a schedule that features games at Michigan, at Wisconsin, at Ohio State, at Iowa, at Northwestern, along with contests with Colorado, Michigan State and Minnesota. If Nebraska goes 7-5 or worse (again), you would have to fire Riley anyways. With a coaching transition class, that would be giving the roster an influx of two subpar classes (2018, ’19). That’s not a smart move. Since he arrived, Riley has done a very good job at balancing out the roster and replenishing it with good, young talent. Each of Riley’s recruiting classes have been incrementally better than the previous (30th, 26th, 23rd). His recruiting department is among the best in the country. Thanks to cutting-edge social media and on-campus events like June’s annual Friday Night Lights showcase, Nebraska has become one of the “it” teams on the recruiting trail. In the last two classes, Nebraska has received more interest and visits from top-level recruits than they have in decades. The talent level is definitely on the rise. The roster is in much better shape than when he took over. But if there’s a stall in upgrading the roster, he needs to go. The bottom line is, if he can’t produce on the field, he’ll just be leaving a good situation for the next coach to inherit. Unfortunately, the way this team played through its nonconference slate, getting a minimum of six wins in their last nine games looks difficult. For the sake of argument, let’s give them victories against Rutgers and Illinois. Nebraska would still need to find at least four wins in their last seven games. They still have to face No. 9 Wisconsin, No. 10 Ohio State and No. 4 Penn State. As it stands today, does anyone see them winning any of those three games? Then you throw in games against Northwestern, Minnesota and Iowa, three bowl teams a year ago who have given Nebraska fits since they joined the conference. Toss in a matchup against Purdue, who looks like the Big Ten’s most improved team this season. Then realize that Riley is 9-8 in Big Ten games during his first two seasons. Unless this team dramatically turns things around the next two weeks, I just can’t see them getting to 7-5. Riley has been here before with Nebraska. He reached a low-point on Halloween in 2015 after a loss to Purdue dropped the Huskers to 3-6. The team finished the season winning three of their last four games, including a win over No. 7 Michigan State. Does Nebraska have another rally in them? I went and looked at Riley’s tenure at Oregon State. He has a history of being slow out of the gates. What’s interesting is that four of his five best teams have started similarly to this years Husker squad. His 2006 team started 2-3 with a 42-14 loss to Boise State and a 41-13 loss to Cal. They finished 10-4. In 2007, a 34-3 loss to Cincinnati and 40-14 loss to UCLA highlighted another 2-3 start. The Beavers ended that season 9-4. Riley started 2-3 again in 2008 with a 45-14 loss to Penn State, and finished 9-4. A 2-2 start in 2009 ended with a 8-5 season. During that four-year stretch, Oregon State beat seven top 25 teams, including #3 USC (2006), #2 Cal (2007) and #1 USC (2008). Can Riley navigate another strong finish to save his job in Lincoln? Ironically, if Riley and the Huskers do have a run in them, it appears it will be spearheaded by the defense. Most felt it would be the offense that would need to keep the team competitive – at least early in the season – while the defense got acclimated to the new scheme. But it’s been the growth of the defense that should have people optimistic. Time will tell if Diaco truly has his Blackshirts humming, but the defense has looked night and day since its second half effort in Eugene. In the first six quarters of the season, the defense gave up 906 yards and 78 points. The last six quarters, the Blackshirts have only given up 370 total yards and 7 points. If indeed Riley is fired, the likely dismantling of this defensive staff might be the biggest disappointment. Again, for the sake of argument, let’s imagine Riley and the Huskers somehow finish 7-5 or even 8-4. They keep their promising 2018 recruiting class together and finish with a top 20 class. What has to happen in the offseason? I think the entire offensive staff – outside of receivers coach Keith Williams and tight ends coach Tavita Thompson – needs to be overhauled. That course of actions seems clear if indeed this turns into the third-straight year where Riley has to condense Langsdorf’s playbook. This offense has regressed in each game, just like it did a year ago. They are still plagued by the same issues that they have had since year 1. Langsdorf’s offenses at Nebraska have never really looked in sync. In three years, he has failed to form an identity and develop a core group of go-to plays that the team can fall back on. Langsdorf’s playcalling has been suspect in several games dating back to 2015. His offenses never really seem to sustain any sort of long-term rhythm, whether that has been drive-to-drive, or game-to-game. Riley has said he will not take over playcalling duties, which I think is a mistake. He had called plays at Oregon State from 2003-08, but finally (and reluctantly) gave them over to Langsdorf, who had joined his staff in 2005. Prior to the 2012 season, with the offense struggling with consistency (sound familiar? ), Riley took back over playcalling duties. That year, Oregon State went 9-4 and was ranked as high as No. 7 in the country. Overall, Riley was the play caller for Oregon State’s four best teams (’06, ’07, ’08, ’12). Following the loss to Northern Illinois, you could hear the disappointment and frustration in Riley’s tone when he discussed the offenses continuing struggles. “I just felt like we had that capability, that we can be that team that can run the ball, throw the ball, play-action pass, but boy, oh boy, we’re so far from that I can’t even hint at that at this point,” Riley said. A change is needed, I think deep down he knows that. Mike Cavanaugh has also worn out his welcome. This is an offensive line that was supposed to be a veteran group ready to take a step forward this season, but so far it’s only gotten worse by the week. They have failed to protect Tanner Lee or impose their will in the running game, despite facing two teams with strikingly inferior talent and an Oregon team that was ranked 116th out of 127 FBS schools in total defense last year. They commit silly penalties at inopportune times. It’s been a common theme going on three years now. Cavanaugh has simply failed to develop that group the way most feel he should have. When you look at this group, you see a lot of guys who were highly regarded, heavily recruited kids coming out of high school. When I previewed the offensive line I wrote, “You have a starting offensive line that is made up of guys who are in their fourth and fifth years. Your backups were celebrated when they signed and are in the second and third years in the program. There are no more excuses for this group. Just considering the accolades of the scholarship guys who make up this room, and going by the eye test, there seems to be a lot of talent to work with. This is year 3 with Mike Cavanaugh. These guys have been recruited by, or have spent the majority of their careers playing for Cav. They know what he expects. They know how he wants things to be done. It’s time Cavanaugh tapped into this groups potential. This offense needs them, and this team isn’t reaching 9 or more wins without them reaching that potential.”Just this week we heard Cavanaugh say about his offensive line, “A couple times when we got beat (against NIU), it was flat-out just bad technique,” Cavanaugh said. “Not setting correctly. Leaning. Your head’s down. You’re up on your toes. You can’t move your feet if you’re like that. So we’ve got to become more detailed. We’ll keep working on all those things.” This is a veteran group fresh out of fall camp. They are already getting lazy with their technique? Cavanaugh continued, “We got to echo calls. … It’s all the way down the line. … It’s just not one call. It’s got to be echoed. … So we’re all on the same page. It’s six of us. So we’ve got to echo the calls to everybody.” Why does this group have communication problems still? Riley himself has admitted that technique and assignment have been the culprits for the line, he went on to say that it’s both surprising and disappointing that such issues have persisted. Again, a change is needed and I think he knows that. The question then becomes whether or not Riley would be able to attract a Diaco-esque talent to run his offense. Most top coordinators aren’t going to want to change jobs with the real risk of being one-and-done at Nebraska. But I think there are guys who would jump at the opportunity, especially if Nebraska were to open the checkbook. Someone worth opening the checkbook for would be Penn State’s Joe Moorhead. Probably a pipe dream, but what would it hurt to gauge his interest if it included a fat raise? If there is a coaching change at Texas A&M following the season, Noel Mazzone would be a guy they should look at. Mike Bloomgren, offensive coordinator at Stanford, is someone worth contacting. The Cardinals have an offense I think would work well at Nebraska. Some other guys I would look into are Sonny Cumbie (co-offensive coordinator at TCU), Matt Lubick (co-offensive coordinator at Washington), Jake Spavital (offensive coordinator at West Virginia), Billy Napier (offensive coordinator at Arizona State), Eddie Gran (co-offensive coordinator at Kentucky), Rhett Lashlee (offensive coordinator at Connecticut), Kendal Briles (offensive coordinator at Florida Atlantic), Sterlin Gilbert (offensive coordinator at South Florida), Eliah Drinkwitz (offensive coordinator at N.C. State), Lawrence Dawsey (co-offensive coordinator at Florida State) and James Coley, who is currently the wide receivers coach at Georgia, but has been the offensive coordinator at Miami and Florida State. Prior to contributing to HuskerMax, Jeremy Pernell co-founded the all football website N2FL.com. He served as the editor in chief of the college football portion of the website which focused heavily on recruitment and talent analysis, including the NFL Draft. You can email him at N2FL@hotmail.com.